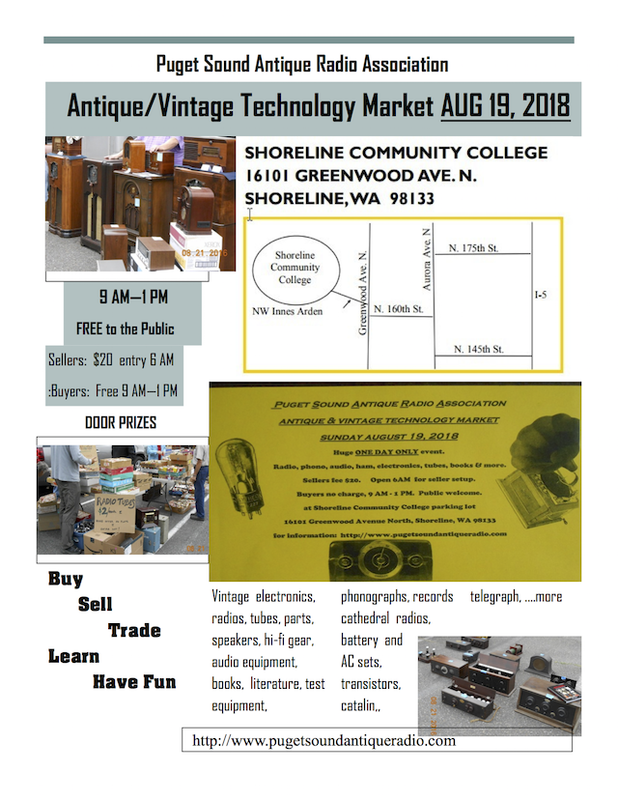 Puget Sound Antique Radio Association is holding an antique and vintage technology market at Shoreline Community College on Sunday, August 19, 2018. If you have items to sell, be there for set up at 6am. Entry fee is $20. Free to the public, 9am to 1pm. Largest vintage electronics and mechanical devices event in the Northwest: radio, phono, audio, ham, electronics, tubes, books, records and more. See items that have been on the earth longer than you or your kids. Bring the family, learn, have fun and see history before the age of the smartphone.